There are several reasons for which I am happy to write a preface to this enlightening work of my friend Vasavada. 1. The book, apart from having many other merits, is the crowning of the author's toil, work and studies in Zurich-Switzerland, which I had the pleasure of being an eyewitness of. While Dr. Vasavada has his unwavering faith, I admired him for, I had myself to go through more than one phase of doubt and discouragement, as the task of bringing the two worlds into line seemed enormous, if not presumptuous. All the more happy we were when it reached its what we thought satisfactory and convincing end where gratefulness of the gods united us. 2. The start to the almost superhuman task seemed to be made relatively easy by the existence of two of the fundamental Jungian concepts, i. e. extraversion and introversion. It is hardly any question that extraversion is the predominant attitude of the Westerner, whereas the East owes the depths of its philosophy and practice (Yoga) to an almost exclusively introverted approach. 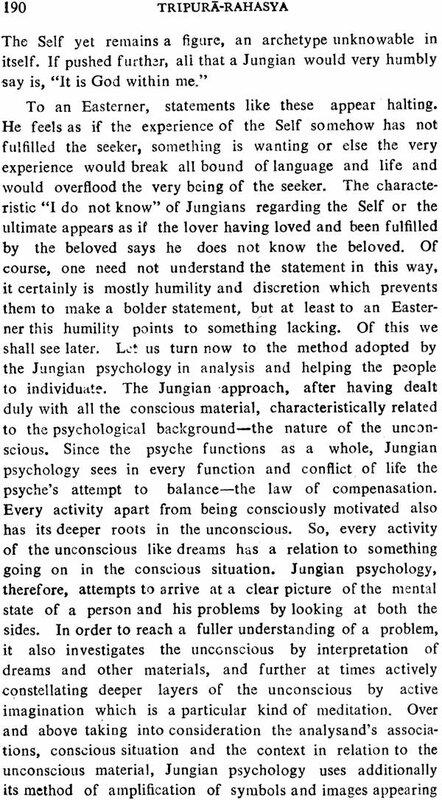 One could therefore, by the law of identity of the soul, expect that with Jung having been a born introvert his approach would of necessity show a lot of congruencies with the Eastern way to individuation (sit venia verbo). 3. 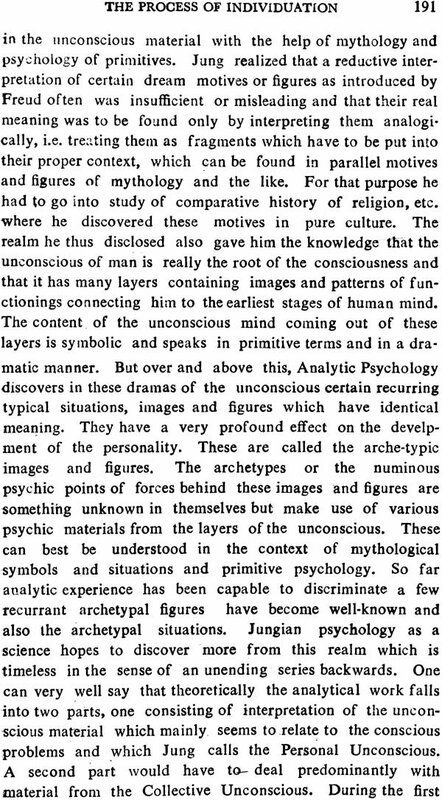 The phenomenology of Analytical Psychology has in fact borne out that there are most striking similarities, so much so that the meaning of many of the products of analysis could only be understood after Jung had discovered the parallel phenomena in the Indian realm cf. technical terms like ('Self' or 'Mendala'). But he always maintained that his standpoint was strictly empirical, phenomenological and psychological, and that for these reasons he would never make any metaphysical statements about his findings. 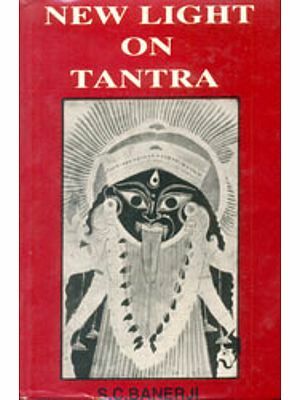 In 1930 he for the first time, demonstrated and discussed in a private seminar drawings and paintings of a Western patient who knew nothing of Eastern tradition, which showed most striking analogies to the cakras of the Kundalini Yoga. Some years later he made the statement that the average level of western consciouness lay about the height of anahat cakra and that what comes above it in the Tantric system (Visuddha, Ajna and Sahasrara) remained unthinkable and unattainable to the Western mind. It could at best be a matter of useless speculation. 4. The complexio Oppositorum, viz., of all the opposites however, remains the core of interest in all later works of Jung (cf. Mysterium conjunctions) and must be the meaning of all Western mandalas. 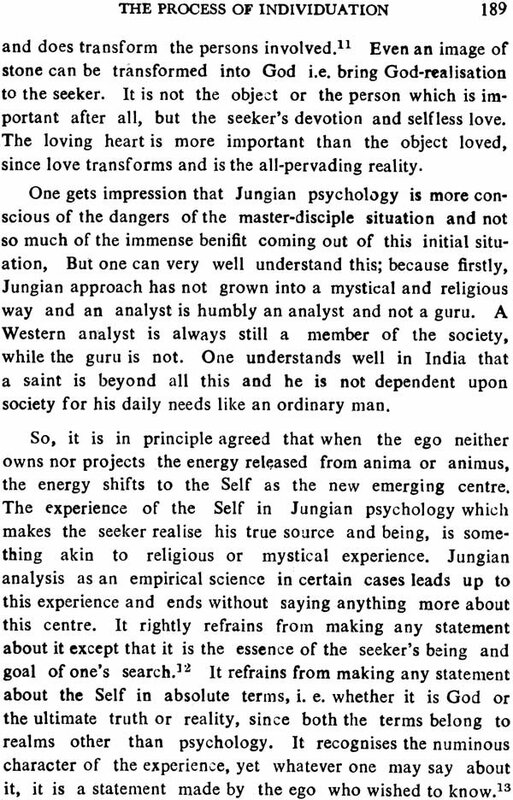 The ultimate goal of analytical work therefore is the subordination of the ego under the 'Self,' which comprises all the opposites. Inasmuch as the Eastern point of view is introverted and Western extraverted, the two also would have to become reconciled in order to attain individuation, no matter hw deep the gulf between the Eastern and Western mind might be. The result, however, must be a paradox: to be individuated means to have become what one really is, i. e. the Easterner an Easterner and the Westerner a Westerner. Don't we really need each other badly, more than ever before? I think the author has shown this in a convincing way, and what is more is more, has done so in a deeply humble and religious spirit, for which we Westerners can only be grateful. 5. 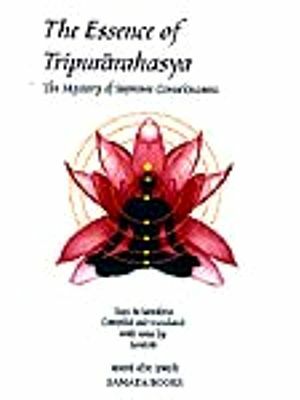 Apart from all this one has to congratulate Dr. Vasavada for his choice of the text of the "Tripura Rahasya" and his most beautiful clear and comprehensive translation. This dialogue is particularly helpful to the Westerner since "Parasuram's difficulties" so aptly reflect the extravert's preoccupation, a fact which even adds a note of fun for the reader. I am conscious of the big task I have undertaken in com- paring the process of Individuation according to the Jungian and the Indian way. It makes one feel like a mouse before a. mountain. In spite of being an Indian, of a Brahmin family, and having contacted a Guru, I realise my lack of understanding of the Wisdom of the Guru. How much more should it be true in the case of the Jungian way, considering that I lived for twenty months in Zurich. There is still much to learn and experience of this equally profound wisdom. Yet, one has to do what one is caned upon to do, and I have humbly set myself to this task, knowing my limitations. Books are mere broad outlines and cannot teach the way. Much that passes between Guru and disciple eremain primarily unwritten. One has to live it and realise it through living and feeling the atmosphere around one's teacher. for this. very reason I have written of things about both the Way. which are not found in books. My impressions about what I found may be wrong. But all this comes out of my sincere attempt to understand the way and, therefore, has a value of its own. In these matters, one does not criticise, but talks in a dialogue and this work is such an attempt. 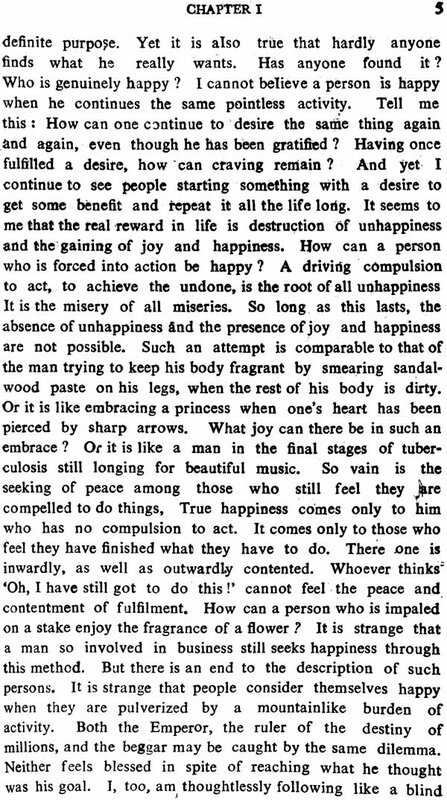 I owe to Mrs. Marie Louise Mehdi for this text being translated and later making it as the subject of my dessertation for the Diploma of the Jung Institute. She came from the new world to the fold of Jung Institute, like many seekers, to solve her problems. Deeply interested in the Analytical Psychology and the wisdom of the East, our friendship grew and developed from the beginning. She wanted to read some text propound- ing Indian wisdom in a practical manner and simple to under- stand. Tripura Rahasya at once suggested to me, having been given to me to read by my Guru Sri Kesarchandji Kalantri of Bhagur, of sacred memory. I started translating it chapter by chapter for her which were carefully corrected and made readable by Louise. Later other friends joined. Miss Maragaret Landerer and Miss Vreni Vrei. The translation being complete, I thought to present it for my desertation and so worked for the comparative study. I worked with Dr. Meier, my analyst, guide and a friend. It brought us together in an unbreakeable bond, Dr. Jung went. through important portion of this work and gave his valuable criticisms and a fiery ordeal which will ever remain as an insignia of my initiation by him. My last two hours with him in Bollingen before my final departure to India Was due to his grace and kindness. It made me understand him still more deeply and he could get some idea of the living tradition of Guru in India. It would be proper to thank my friends, Louise. Margaret and Vreni for their invaluable help and inspiration in com- pleting this work. But for their enthusiasm this work could not have come to this stage, on account of the stormy periods I had to go through during my experience of Jungian' analysis. Lastly. I acknowledge the help from the Bollingen founda- tion which made my work easy and comfortable. I also cannot forget Sri Krishnadasji of Chowkhamba Sanskrit series who gladly undertook the publication of this work and my friend Dr. Ram Kumar Rai who went through the proofs and other technical aspect of the publication. I will remain silent about what I owe to my wife who remained behind in India with all the difficulties so that I could go to Zurich. I acknowledge also the help from my Son Rajendra who worked for indexing this book. 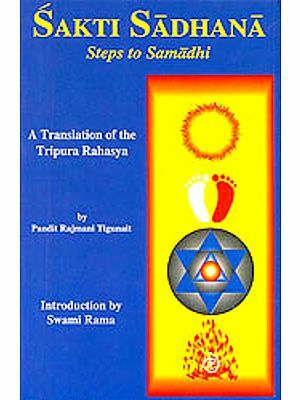 Tripura Rahasya or the dialogue between Bhargava and Datta forms a part of a larger book known by the same name, comprising of three parts. viz. 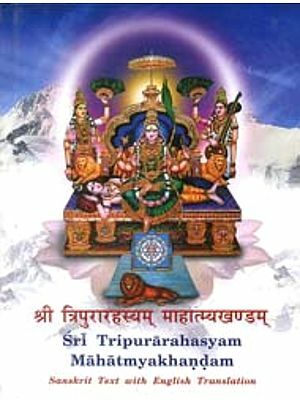 The Glory of the Goddess Tripara, the Ritual, and the Knowledge or the Wisdom part (present text). 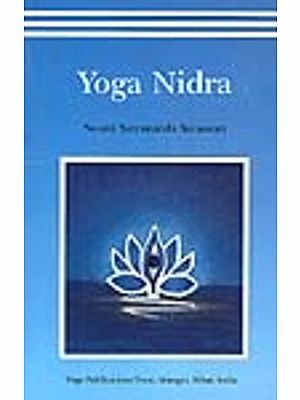 The whole book is said to be written by the sage Haritayana, one of the disciples of Parasurama (Bhargava) in the form 'of a dialogue between him and Narada. The story as told in the first part of - the book goes as follows: Sumedha-Haritiyana, a disciple of Parasurama, once requested his guru to instruct him in the Highest Good. The Guru was reminded of what had happened between him and his guru Dattatreya and initiated Haritiyana in the way of the Goddess Bala (Girl). Haritiyana retired to the forest for meditation. The Goddess Bala-Amba ( Girl-mother) appeared to him in a dream and asked him to approach his guru. Hari- tyana, on waking fell into doubt about the dream. but a voice from the heaven removed' it. So he returned to the guru, who further intitiated him into Sri Vidya, with all Hits mysteries and enjoined him to compose a book on the glory of the Goddess. Haritayana, retiring to the city of Hala near the resort of Goddess Meenaksi ( one with eyes like that of a fish ), forgot an about it. When he was engaged in meditation, he happened to see Narada in his vision. . He was surprised to see Narada whea-his mind was tranquil. He asked him as to how this could be and for what purpose. 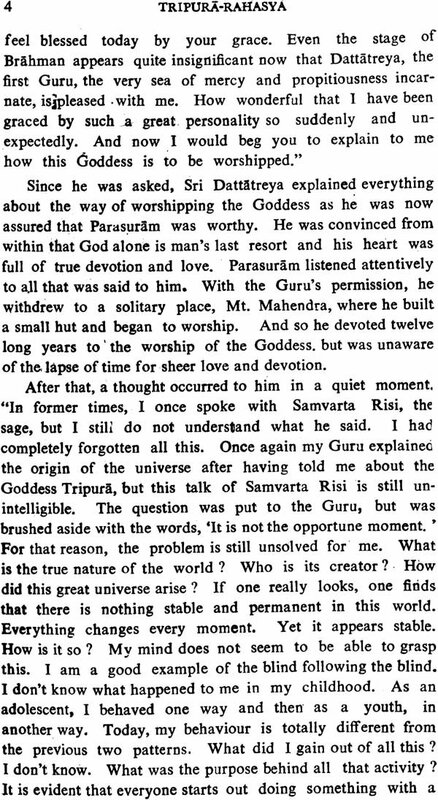 Narada told him not to worry about it and said that he had come down from heaven to hear about the glory of the Goddess Tripura from him as his father had told him that he, (Haritayana) knew it. 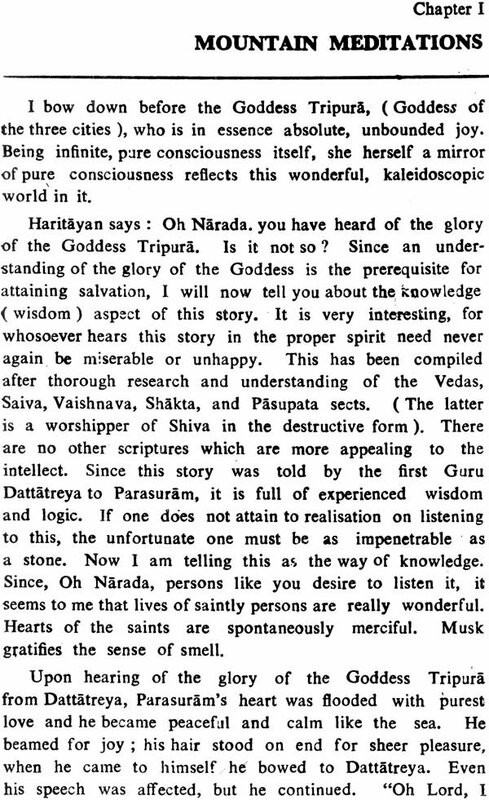 On hearing this, Haritayana was reminded of the purpose (or which he had come to Hala. He, however could not understand how he had forgotten about it. Narada and Haritliyana, both, thereupon, prayed to Brahmi to explain the cause of this forget fulness. Brahma appearing on the scene explained it as follows. Haritayana was the son of Alarka whose wife was a devotee of the Goddess ( Sakti). The son (Haritayana) used to hear his mother calling even his father as 'Ayi' ( a feminine address). As a chi1d, he picked Up as A with a wrong accent. This fau1ty pronounciation of the formula of the Goddess brought sickness upon the child and proved fatal. Haritayana's present loss of memory was the result of this faulty pronounciation. Lord Brahma corrected .it and Haritayana was then able to relate the glory of the Goddess to Narada. The hero of the test. Parasurama, who was instructed, according to our text. in the wisdom of the Self by Sri Dattatreya known in the Hindu Tradition as the first guru, is one of the incarnation of Vishnu. He comes before Rama, the king of Ayodhya, the hero of the epic Ramayana. Parasurama, brahmin by birth. was once enraged against the whole of Ksatriya class. because one of the ksatriya killed his father without any provocation. In order to avenge himself successfully, he started austere devotion to God Siva. God Siva being pleased, conferred on him as a boon, an axe (Parasu = axe; hence Parasurama the name) and a bow at his request so that he might fulfill his desire. With these divine weapons. he destroyed the warrior class. including women and children. 21 times. Having conquered the world. 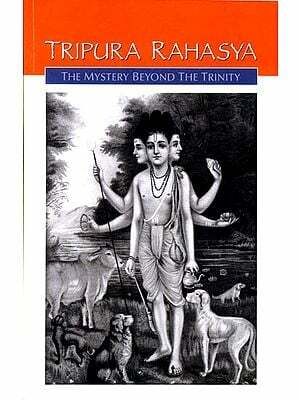 he returned to do penance vowing never to use any weapon against the ksatriyas again. But when he heard that Rama broke the bow belonging to his guru Siva, he flew into passion of rage and ran up to kill him. Rama, paying due respect to him as a brahmin asked forgivenness for the act. Pararusama, however, was not pacified and censured him disregarding his supplications, Sri Rama told him thdt his weapons will never be raised against a brahmin and that he would prefer to be a prey to Parasurama's weapons in retrun. Parasurama was enraged still more as Rama recognised him only as a brahmin and not as the destroyer of the ksatriya race. He forced his own bow into the hands of Rama and provoked him to fight. Rama very coolly accepted it and stringing and stretching it to the full length asked him on whom it be directed. This was enough humiliation for Parasurama. He hardly thought Rama strong enough to stretch the bow. He fell at Rama's feet, asked his forgiveneness acknowledging his defeat. Returning home, he deeply repented for having broken the vow. . He was overwhelmed at the thought of all that he did to innocent children and women in his rage. He keenly realised the dangers of rashness of anger. With these thoughts on his way home, he encountered an ugly looking person with dishevelled hair but resplendent of. body .He was naked and had nothing on 'him to distinguish his class or birth. With a view to test him, he praised his radiant perso- nality and asked him who he was. The insane looking man began to pelt stones at Parasurama. Parasurama caught hold of him and threw him on the rocks several times. He ( every time got up) laughing as if nothing has happened to him, Parasurama was struck by the equanimity of the man and felt sure that he was a great saint. He fell at his feet and propitiated him and inquired who he was. The insane looking man said that all quesions concerning the 'Other' were useless, even when they were answered, if one did not know who he himself was. Parasurama could not understand the cryptic sentence in reply and requested him to enlighten him more. He there- upon, revealed his identity as sage Samvarta and asked him to go to Sri Dattatreya for further clarification.